This multisensory lab is home to a 5-foot-long electric eel, capable of generating up to 800 volts of electricity, as well as four black ghost knifefish, more than a dozen bluntnose knifefish, and three elephant-nose knifefish. 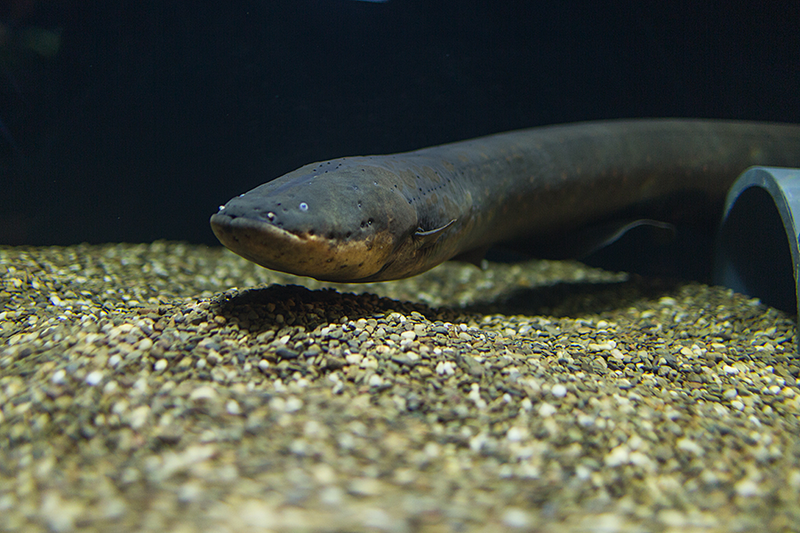 Electricity generated by the eel activates a sound, voltage, and light display. A touchable eel model along with explanations about knifefish signals round out this electrifying display.